What key areas should you be concerned with when managing Microsoft Exchange and Microsoft Lync Server 2013 environments? 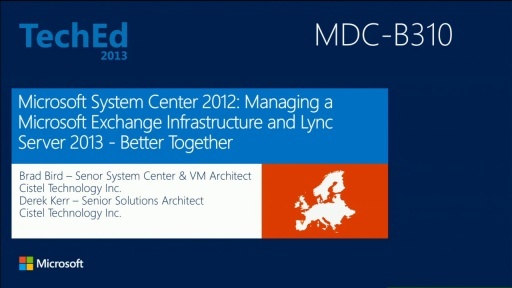 Learn how by leveraging System Center 2012 - Operations Manager Management Packs, you can proactively maintain a successful Microsoft Exchange infrastructure and Lync deployment. 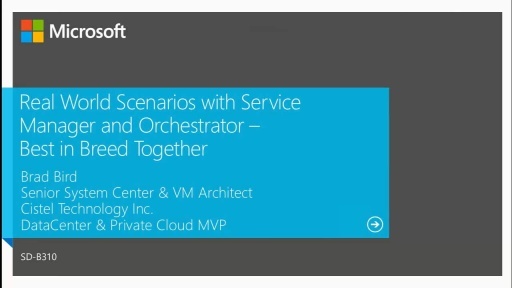 Using System Center 2012 Service Manager and Orchestrator you can integrate with your organization’s business processes to improve and streamline existing business processes from ad hoc and unpredictable to streamlined, automated, and predictable. Not all systems are physical anymore. Times are changing and organizations seek to maximize their IT investment but minimize their physical infrastructure footprint. 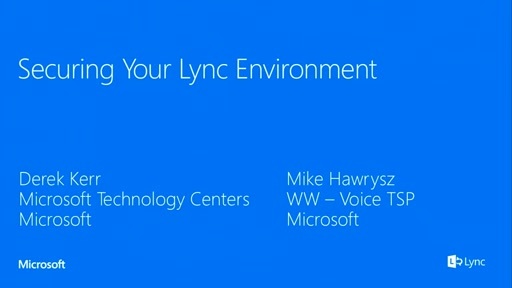 Explore the implications of virtualizing Lync and Exchange as key workloads and what you need to know about managing them this way.